Two teenage sisters defend their land from the men attempting to steal it. The western may be the most American of genres, but there's nary a nation on earth that hasn't given us a riff on its themes. Italy made it a genre of its own with the spaghetti cycle of the '60s and '70s. One of this century's best westerns is the Australian set The Proposition. Even Korea has given us The Good, The Bad, The Weird. 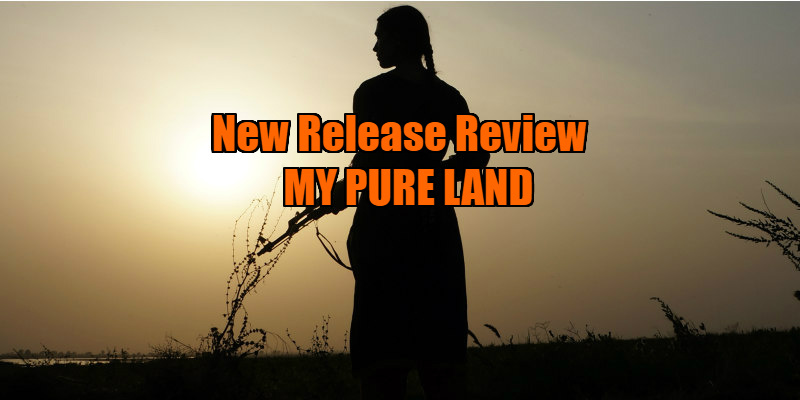 Now it's the turn of Pakistan with My Pure Land, a film remarkably based on true events. Director Sarmad Masud's film opens with text explaining how land disputes in Pakistan can often descend into violence, and how traditional biases against females regularly plays a part. We're then thrown headlong into the action, as teenager Nazo (Suhaee Abro), wielding a machine gun almost as long as her slender frame, leads her mother and younger sister in defending their home from a group of men, led by her uncle, who believe the land is now theirs, following the passing of Nazo's father. The invading men mock the idea of coming up against women, but they soon find Nazo a formidable foe. When a local mobster arrives with backup in the form of scores of men ("bullets are expensive, but men are cheap") however, the odds begin to appear considerably stacked against Nazo and her family. There's a growing fad in recent months for filmmakers using fractured timelines to embellish their storytelling. Christopher Nolan offers us three timelines in his Dunkirk as a means of distributing equal weight to the stories of those involved on land, sea and in the air. With his Aussie backwoods thriller Killing Ground, first-time director Damien Power cuts between two timelines to generate unbearable tension. Masud similarly employs two separate timelines that often blur and blend into one another, keeping us guessing until they converge in the final act to answer any lingering questions we may have. The bulk of the flashbacks establish Nazo's relationship with her father. In the midst of gunfire and bloodshed we're given a reprieve in the form of as sweet a family drama as you could hope to see. In one beautifully played scene, Nazo's old man tells his daughters a shocking story of a neighbour burning a three day old infant on a bonfire because it wasn't a boy, but how he defies such patriarchal notions and is proud to have raised two young women the equal of any men, as evidenced by their later defence of the home he leaves behind. My Pure Land offers us two sides of the debate regarding conservative religions. While Nazo appears secular and modern in her mindset (her reaction to a marriage proposal from a male friend roped in to help defend her home is priceless), her father, the very embodiment of 'a good man', draws strength from his beliefs. Conversely, it's made clear where the patriarchal prejudices that allow men like Nazo's uncle to believe they can bully women come from. The film similarly explores the idea of honour and how that concept can equally be twisted. While in the west we have to settle for the mini-skirt clad Wonder Woman, ironically, it's the male-dominated cultures of the Middle East and South Asia that have been offering us the most defiantly feminist role models. The central trio of Maysaloun Hamoud's In Between; the titular adolescent of Haifaa Al-Mansour's Wadjda; the recalcitrant teens of Deniz Gamze Erguven's Mustang. Add Nazo, played in striking fashion by instant star Abro, to that list. 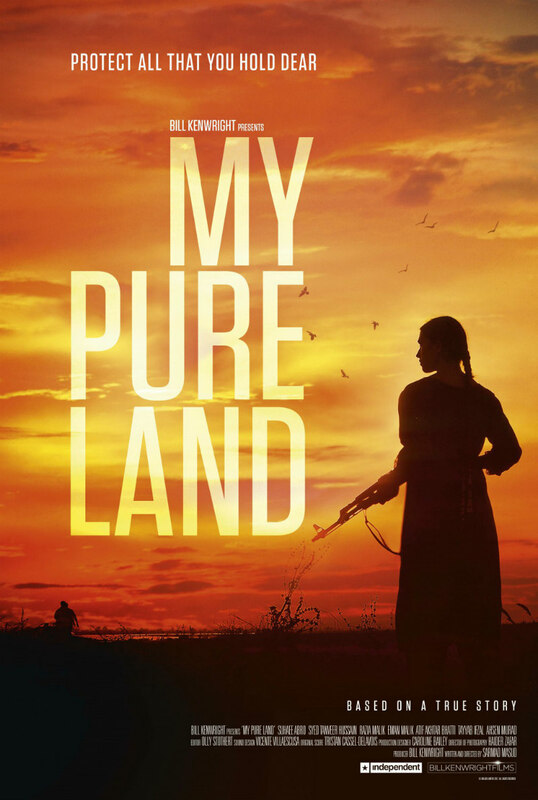 My Pure Land is in UK cinemas September 15th.